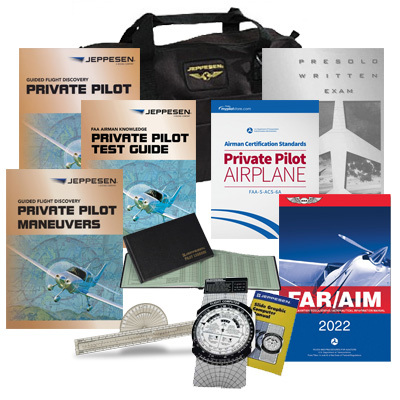 Jeppesen Private Pilot Kits, developed for both FAR Part 61 and FAR Part 141 training programs, are the most complete private pilot training packages available. 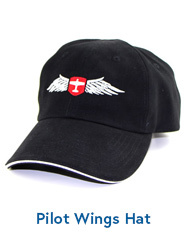 Purchasing a kit is an economical and convenient way to obtain current, comprehensive, and integrated materials that will make the journey to your private pilot certificate successful. Rather than just teaching facts, GFD concentrates on an application-oriented approach to pilot training. The comprehensive and complete system emphasizes the why and how of aeronautical concepts when they are presented. As you progress through training, you'll find that the revolutionary GFD System leads you through essential aeronautical knowledge and exposes you to a wide variety of interesting and useful information which will enhance and expand your understanding of the world of aviation. Although each element of GFD may be used separately, using all of the individual components in a systems approach can maximize the effectiveness of the materials. This Private Pilot Maneuvers manual uses step-by-step procedure descriptions and over 100 full-color figures to help you visualize and understand each maneuver you perform in the airplane. Skill Enhancement Insets provide expanded instructional guidance, helpful hints, explanations of common errors, and rules of thumb that can help you perform each maneuver precisely the first time. To prepare for your private pilot checkride, you can refer to the associated FAA practical test standards presented with each maneuver description. In addition, exercises allow you to evaluate your understanding of the maneuvers. For easy reference, the maneuvers are numbered and grouped into categories based on similar operational characteristics. The spiral-bound design allows the manual to lay flat for ease of study and instruction, whether you are on the ground or in flight. The Airman Certification Standards (ACS) is the guide for students, instructors, and FAA-designated examiners to know what applicants must know, do, and consider for their FAA Knowledge Exam (written test) and practical test (checkride) to earn their pilot certificate or rating. The goal of the airman certification process is to ensure the applicant possesses knowledge and skill consistent with the privileges of the certificate or rating being exercised, as well as the ability to manage the risks of flight in order to act as pilot in command. This test guide contains all of the FAA recreational and private pilot airplane knowledge test questions, along with the correct answers, detailed explanations, and study references. Subject areas are organized by topic and coordinated with the Private Pilot Manual. The three-hole punched, perforated pages provide flexibility so you can select and remove specific pages for effective study. A unique sliding mask for self-testing, as well as full-color charts identical to those on the FAA test, are included with the test guide. This exam is designed to address the aeronautical knowledge subject areas that are required by the Federal Aviation Regulations prior to solo flight, including applicable regulations, local airspace and airport procedures, as well as the flight characteristics and operational limitations of your training airplane. Full function, full size. Perfect for the budget-conscious student. Constructed of rugged plasticized composite material. 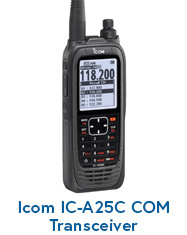 It conforms to the instructions and examples in Jeppesen manuals, workbooks and audiovisual programs. 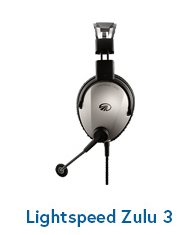 Comes with instruction manual and zip-lock carrying case. Designed for lifetime durability, this 96-page permanent record offers large flight time category spaces, arranged according to FAA regulations. Its become the standard of the industry. Its printed on -easy-eye- green pages that resist -bleed through-, and bound with a high quality, scuff-resistant cover. An excellent study or reference source, the new, larger format includes 14 CFR 135 with complete pilot/controller glossary. Changes are conveniently indicated. 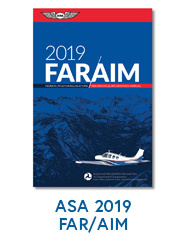 Including FAR Parts 1, 43, 61, 67, 71, 73, 91, 97, 119, 133, 135, 141, 142, HMR 175 and NTSB 830, the FAR/AIM uses special study lists to direct students to the appropriate FARs. You can check students' understanding of FARs with exercise questions tailored for private, instrument, commercial, and helicopter. 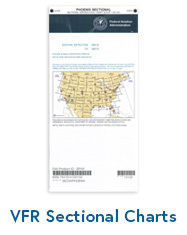 A free Update Summary is available on Jeppesen's web site. Not only does this bag contain all of your private pilot training materials, it is also an excellent first flight bag. 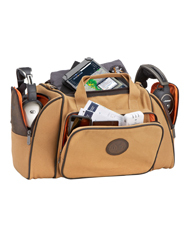 Numerous outside pockets help you organize such essential items as your charts, flight computer, fuel tester, plotter, and flashlight, as well as pens and pencils, while a convenient double zipper opening provides easy access to flight materials inside the bag. Carry your supplies in comfort with the wide removable shoulder strap. Reinforced bottom. Constructed with durable PVC backed 600 denier poly. Review: The book is good. But even better is mypilotstore.com. 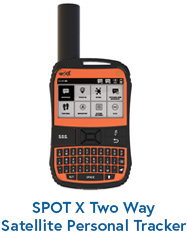 Trying to deal with jeppesen to buy this kit is next to impossible. Thanks mypilotstore. Best price I found for this item. 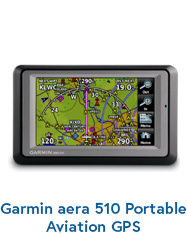 Pros: Best price found, Jeppesen has a long history in aviation training material. Review: I purchased the Jeppesen GFD Private pilot Kit because this one was being used by my CFI. 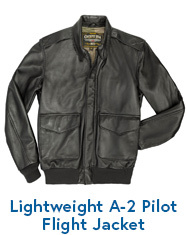 MYPILOTSTORE had the best price I could find at the time. The option to purchase WITHOUT the bag, saved me that much more $$$$. 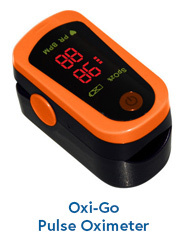 Review: Great product! Easy to understand. I recomend this product to all my students. Pros: The information is accurate and comprehensive. Review: This product is Excellent. It is quality made. The content is correct. My students love it. I teach from one. It is a perfect teaching and learning tool. Well worth the money. Review: I have been pleased with this kit. Everything is good quality and came in good condition. The bag was a nice bonus! My only complaint is that the materials are a little out of date (I purchased 8/2015 and received 2014 materials). 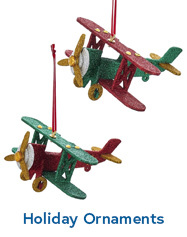 While the FAA does not change very much, they release updates to materials multiple times per year. As of yet, I have not come across any places where this has caused an issue. Overall, I am glad I chose this kit! Review: I have purchased Jepp stuff for my Flight School since 1991.
wish it had review questions/study guide for written test. Review: i read a 1970's Jepesson manual that was much easier for me to read than the current version. I passed written when 15 years old, and had less trouble with that manual than current Jeppeson manual. so i have read 3 manuals total, and find the current Jep manual in this kit is the least to my liking for ease of reading. Q: What does GFD stand for? A: Guided Flight Discovery. 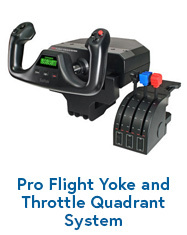 It's just what Jeppesen calls their training materials. A: Yes, everything in the kit is always current. We never ship with outdated materials. Q: Same question for a different year - does this include the new FAR/AIM 2010 book? A: Yes, the 2010 FAR/AIM is included. Q: Is this updated to include the FAR/AIM 2009 book? A: Yes, it includes the 2009 FAR/AIM book. The essential guide to becoming a better pilot, paying the least, getting the most, and finishing as quickly as possible.